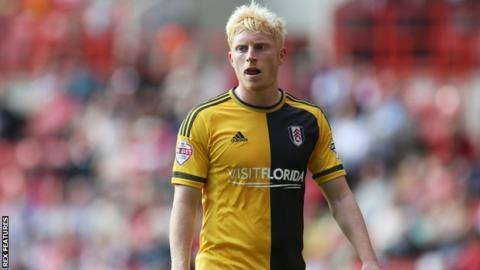 Ipswich have signed winger Ben Pringle from Championship rivals Fulham on an initial one-month loan. The 26-year-old joined Fulham in the summer after spending four years at Rotherham, where he scored 22 goals in 168 appearances. This term he has played 18 games, but none since Slavisa Jokanovic became Fulham head coach on 30 December. Pringle comes in as cover after Town winger Ryan Fraser injured his hamstring in the 1-0 defeat by QPR.